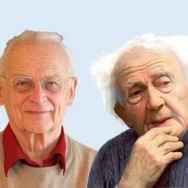 Sociologists Alain Touraine and Zygmunt Bauman have been bestowed with the 2010 Prince of Asturias Award for Communication and Humanities. The decision was announced today by the Jury in Oviedo. Considered two of the highest representatives of current European thought, Alain Touraine and Zygmunt Bauman have analysed the deep transformations of contemporary social structures and have developed key concepts for the understanding of fundamental issues of our time. This nomination was put forward by Rafael Puyol, president of IE University (Madrid). Alain Touraine (Hermanville-sur-Mer, France, 1925) graduated in History in 1950 from the Ecole Normale Supérieur of Paris, and he completed his education as a Rockefeller Fellow at Harvard University. In 1956 he founded the Research Center for the Sociology of Labor at the University of Chile, and in 1958 created the Industrial Sociology Workshop of Paris, which in 1970 was renamed the Center for the Study of Social Movements. He participated in the French National Research Council until 1958. In 1960 he received his Doctor of Letters and was Professor of Literature at the University of Paris-Nanterre from 1966 to 1969. Known as the creator of the term "postindustrial society", in 1981 Touraine founded the Center for Sociological Analysis and Intervention, where he acted as Director until 1993. Currently he is a research director at the Ecole des Hautes Études en Sciences Sociales (School for Advanced Studies in the Social Sciences) in Paris. A central theme of Touraine's work is the "sociology of action". Early in his career, his work was devoted to the sociology of labor and worker consciousness. Later he focused on the analysis of social movements, from the events of May, 1968 to the military coups in Latin America. His most recent work views the individual as the agent of social movements, a concept that Touraine has written about extensively over his career. He is strongly opposed to the neoliberal political movement of the 1990s. Also, he advocates a new social movement against globalization, which in his opinion fragments society and fosters individualism, and suggests a new focus on human rights. Touraine has published around 20 books, including Sociology of Action (1965), The Voice and the Eye (1981), in which he describes a research method he developed while in Poland known as "sociological intervention", A Social Movement: Solidarity (1983); Workers movement (1987) and Critique of Modernity (1996). In his book A New Paradigm for Understanding Today's World (2005) Touraine analyzes the social changes experienced by complex societies over the last two decades. In Le monde des femmes (The World of Women) (2006) he examines the sociological construction of the female subject, through a research project involving over 60 interviews. He co-authored, together with Ségolène Royal, the book Si la gauche veut des idées (2008), and his latest publication is Thinking Differently (2009). Touraine is an official of the Legion of Honor, and of the National Order of Merit of France. He has received honorary doctorates from a number of universities, and is an honorary member of the American Academy of Arts and Sciences, The Polish Academy of Science, The European Academy of Arts and Sciences, and an academic of the European Academy of Yuste Foundation. He has received the Sociology Award of the Mattei Degan Foundation (2006), the Social Classes and Social Movements Prize of Research Committee 47 of the International Sociological Association, and the Thought and Humanities Award of the Cristóbal Gabarrón Foundation (2008). Zygmunt Bauman (Poznań, Poland, 1925), of British nationality, moved to the USSR with his family, of Jewish descent, at the start of World War II. After the war, he returned to Poland and taught at the University of Warsaw until 1968 when he was again exiled for political reasons. He lived in Israel briefly and was professor at the University of Tel Aviv until 1970. He has taught at universities in the United States, Australia and Canada and is emeritus professor of Sociology at the University of Leeds (United Kingdom). Bauman’s analysis of the links between modernity, Nazism, and postmodern communism has earned him international acclaim. He has contributed to the development of social sciences through the creation of concepts such as liquid modernity, which defines the contemporary era as one of change and constant movement, in which individuals no longer have consistent frames of reference and concepts are less stable than ever. His theories have been a major influence on the anti-globalization movement. His published works, which begin in the 1950s, achieved international fame in the 1980s with books such as Modernity and the Holocaust (1989), in which he argues that Nazi extermination of the Jews was a phenomenon related to the development of modernity. Some of his most important published works are Liquid Modernity (2000), considered his masterpiece, in which he observes that globalized capitalism is destroying the stability of industrialized society, Liquid Love (2003), and Liquid Life (2005). He is also author of Culture As Praxis (1973), Postmodernity and Its Discontents (1997), Globalization: the Human Consequences (1998), In Search of Politics (1999), The Individualized Society (2001) and Wasted Lives. Modernity and Its Outcasts (2005). In this last book Bauman describes inevitable consequences of modernization, such as migration, refugees, unemployment, new poverty, and the need to establish identity. Some of his latest books published in Spanish include Liquid Fear (2007), Consuming Life (2007), Art: liquid? (2007), Archipelago of Exceptions (2008), Many Cultures, One Humanity (2008), The Art of Life (2009) and Consumer World (2010). His thought and work have been analyzed in numerous books written by other authors. Bauman has received honorary doctorates from fifteen European and American Universities. Among the awards that he has received are the European Amalfi Prize for Sociology and Social Sciences, given by the Italian Association of Sociology (1989), and the Theodor W. Adorno Award given by the city of Frankfurt (1998). The Prince of Asturias Awards aim, to quote from the Statutes of the Foundation "to reward the scientific, technical, cultural, social and humanistic work performed by individuals, institutions, groups of individuals or institutions at an international level". As part of this spirit, the Prince of Asturias Award for Communication and Humanities "will be bestowed upon the person, institution, group of people or group of institutions whose work or research constitutes a significant contribution to universal culture in these fields". This year a total of 23 candidatures from Colombia, France, Italy, Japan, Lebanon, Morocco, Mexico, Poland, United Kingdom, United States, Uruguay, Venezuela and Spain ran for the award. This is the third of eight Prince of Asturias Awards to be bestowed this year for the thirtieth time. The Prince of Asturias Award for the Arts went to American sculptor Richard Serra and the Prince of Asturias Award for Social Sciences was given to the Archaeological Team of the Warriors of Xi’an. The rest of awards will be announced in the coming weeks in the following order: Technical and Scientific Research, Letters and International Cooperation, with the Sports and Concord awards being announced in September.